Find My Workspace lists over 95% of the serviced offices & coworking space market in Central. Simply click Request Quote to check pricing for one office, or Add to Basket for multiple offices. This centre offers fully furnished, designated desks and private offices, in a prestigious building located in the heart of Central, Hong Kong. Desks come with a chair, a lockable storage cabinet and a monitor stand. The centre offers members an unlimited high speed internet connection as well as 24 hour access to the space. There are daily mail handling and cleaning services and members have access to a pantry area with complimentary water, tea and coffee as we well as a microwave and a fridge. Meeting rooms are available for up to 14 people upon request, with an extra fee applying. This building is already home to several prominent international companies including law firms, brokers and accountants. Facilities are situated on levels 15 and 16, with fully furnished, state-of-the-art offices that command memorable views of Victoria Harbour and beyond. With a range of premium workspaces, you will have access to complete conference facilities, meeting rooms and professional reception services, with the added bonus of flexible lease terms. This centre gives your business one of the most sought-after addresses in the middle of one of the region’s most dynamic cities. Achieve even greater success by taking advantage of this unique location. This new office tower rises 28-storeys high, with retail shops and restaurants on the ground floor. Its unique exterior coloured lighting makes this building even more distinctive. This centre provides 2 floors of ready-to-use office space, meeting facilities and a café lounge with unobstructed views of Central. As a previously famous members-only club, this iconic building is a historic symbol of the rich British colonial past. After a stunning re-design by Harry Siedler, the building boasts spectacular city and harbour views. It is also one of HK’s most exclusive clubs for the most influential people in the city such as personalities, government officials and major trading firms. Offering office solutions that combine flexibility, service and convenience, this space comes fully-serviced with an all-inclusive array of solutions to meet specific business needs. Join the community of businesses that have made the center their home and enjoy access to state-of-the-art amenities, including; meeting rooms, plenty of internet bandwidth, a completely-serviced workspace infrastructure and invigorating harbour views. The on-site reception team are available to offer you the support you need to help make the best first impression your business can – from greeting guests at the door to taking in mail and answering telephone calls. With a serviced office space at this center you have the freedom to explore the city and work where your business feels most at home in each stage of its development. Apart from being a bustling hive of activity both day and night, this affluent and lively locale offers businesses an excellent location paired with everything you and your employees are looking for in and around a serviced office space. This office space features a network of beautifully appointed offices that offer a wide range of workspace solutions whether this be one or five offices close to one another, meeting spaces and virtual office packages. Members of this space have access to a complete array of office support and concierge services as well as state-of-the-art business technology. This centre is all ready for you to move in and start working. The centre comprises of four floors of high quality office space, a convenient location with a beautiful view and top quality amenities. This workspace is a perfect match for companies looking for a convenient and economical location as well as an opportunity to immerse themselves in one of the fastest-growing commercial hubs in the region. The prime Sheung Wan location is surrounded by public transportation, making the serviced office the perfect choice for companies looking to rent space at a convenient and economical location. This business centre assists new arriving and existing businesses by offering all essential operational services under one roof. They offer company formation packages in addition to accounting, auditing, taxation and pay roll services. With excellent variety of different sized office solutions from economical internal offices to city- and sea-view offices, the centre can accommodate clients with different needs and different budgets. This centre has multilingual and highly trained staff and well-equipped quality facilities with pleasant and international working environment. With the purpose of bringing together like-minded professionals, this contemporary centre is designed to facilitate community interaction. Each tailor-made private floor provides up to 3000 square feet of flexible workspace, while the co-working area provides an area open to all members. 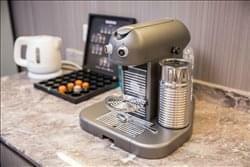 Be inspired in a different environment, meet other tenants within this community, and enjoy freshly ground coffee made by the professional barista in the delicately designed lounge. 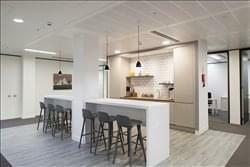 On the hunt for the ideal location for your next office space? Look no further than these state-of-the-art office spaces. This fantastic centre provides professional meet and greet services, high speed internet, a full receptionist and secretarial service on hand to assist you with day to day tasks, answer and forward calls as well as meeting and greet visiting clients. State of the art conference technology is also available to tenants. With its high profile location and famous hotels, shopping and dining options nearby, this address has everything you need in a premier business centre destination. 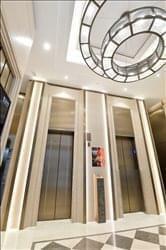 This landmark 88 storey skyscraper is located on Finance Street, Central, consistently recognised as the most prestigious world’s best address of fully furnished commercial office space. The building is right next to the Airport Express HK Station which takes you to the airport in a 25 mins ride from downtown Central to the airport. It simply based upon the transportation convenience. With the major financial institutes and banks around 2IFC and the walkway systems with covers connecting to the major commercial towers in Central, there’s no other place better than this location. 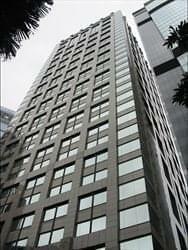 With 14 floors purchased by the Hong Kong Monetary Authority and other building tenants including UBS, BNP Paribas, Blackstone, Nomura Securities, State Street Corp and Commerzbank. 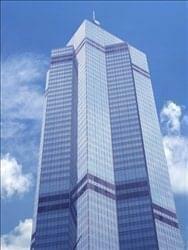 It was designed by world renowned architect Cesar Pelli, is the tallest building in Hong Kong Island. High quality infrastructure, and the financial and economic centre of the Hong Kong economy make this office space a dynamic, energy driven environment that powers business to success. It is also an address with a reputation of being a fantastic place to work and improve business. A place you and your employees can thrive and take advantage of all the services available including boardrooms, meeting rooms, reception services and IT support. Use this highly regarded address steeped in Hong Kong’s rich colonial past to benefit from all that Hong Kong has to offer. Designed by the renowned architect Cesar Pelli, this skyscraper manifests strength and integrity. With nearly three million square feet of prime office space, the complex accommodates thousands of people daily for both work and leisure. Situated on Level 20, this centre offers superb serviced office facilities with high-quality furnishings, state-of-the-art meeting and conference rooms, stylish breakout areas, and business support services supported by well-trained professional teams. With flexible lease terms, your business is positioned to succeed. This boutique Business Centre is a family owned and family run business, and has been in operation since the early 1980’s in the heart of Hong Kong. It is conveniently located right above the Admiralty MTR Station, close to government offices, banks, 5-stars hotels and Michelin restaurants. The Centre has been redecorated recently. It offers a full range of facilities and services customized to individual business needs, ranging from hot desking, virtual office to a complete physical office with varying degrees of secretarial and telecommunication supports. With flexible license term, clients can have a complete office set up with no capital outlay. The virtual office options provide the comprehensive services without a rental of physical space. Clients are able to use it as their registered office, correspondence address and a place to meet their clients. 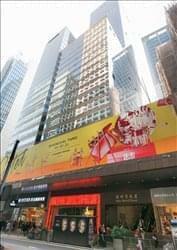 The building is located in prime financial area, and next to MTR station, and the office shared is fully supported with business services, and amenities. 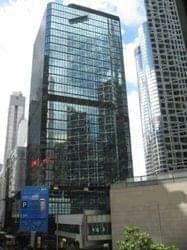 The building location will give your company a better image and high rank for your company office. Fully administrative team and informative technical support that backup the shared company . This boutique service office is located on the 16th floor of a landmark building at Lyndhurst Terrace and offers stunning views of the City. The center consists of 2-4 person offices which are tastefully furnished and each have their own individual 24/7 air-conditioning. The centre offers the finest Serviced offices that are fully furnished with all necessary facilities and backed by the best technology infrastructure needed for your business. You can enjoy high speed Internet connectivity, modern interior fit-outs, best city view and facilities offered by professionally skilled support staff. When it is a matter of business credibility, we can offer the best for you. This center has been designed with Nordic designed minimalism. 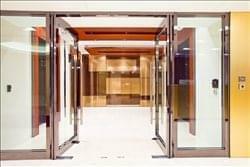 There are spacious working environments with elegant furniture, and advanced security systems and facilities to ensure that you, as a valuable client, develops your business in a safe and comfortable way. There are spacious meeting rooms with high levels of privacy for all your business meetings and events. All members in this center will have access to furnished spaces, dedicated telephone numbers, high speed broadband network, daily office cleaning services, mail and package handling, complimentary tea and coffee, secure 24/7 access provided by a smart access card, and central air-conditioning. This building has been designed specifically to provide a premium, professional location for between one and 20 person offices at incredibly affordable prices. This centre incorporates best-in-class workplace design elements and is equipped with the latest IT infrastructure to ensure your work day is as comfortable and efficient as possible. Benefit from 24-hour access, audiovisual equipment and conferencing facilities, plus the advantage of a multilingual reception staff. Cushioned with flexible leases at highly affordable rates, your business is ideally positioned in the heart of Hong Kong to succeed in whatever industry you specialise in. There are a number of serviced office spaces available across Hong Kong, however, seldom will you chance upon a prime location as cost-effective as this space. 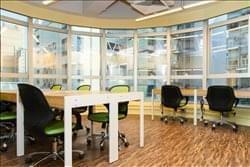 Located along Hong Kong’s most spectacular hub of corporate affairs, this ‘top-end’ product in the serviced office market caters for businesses of all sizes with a range of bespoke office spaces allowing entrepreneurs and bosses from varying industries to pitch their services to neighbouring companies. This corporate office space offers the best of amenities, including serviced offices, meeting rooms, virtual offices, parking, storage and much more. 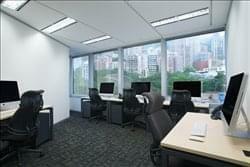 In addition, this dynamic facility is centrally located providing companies with a dedicated space to meet, connect, learn and grow while sharing unique business opportunities that is unique to this area of Hong Kong. A wide range of restaurants and eateries surround the building, making this the perfect location for a variety of events, such as social events, lunch or entertaining clients. This space inspires productivity and creativity by bringing together thoughtful design, the latest innovations and eco-friendly living into a comfortable, flexible space in the heart of Central. This space integrates holistic health principles, the presence of nature and sustainable practices. 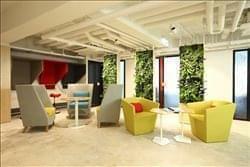 That’s why this space stands out from the traditionally conservative serviced offices in Hong Kong. By supporting and encouraging collaboration, this environment is where you can make the most of every moment and every opportunity. The fully equipped Conference Room gives you the added flexibility to hold important business meetings or pull together a team to brainstorm. Coming soon the Outdoor Terrace, an oasis to break up your working day, enjoy a coffee or set up your laptop in the sunshine. This centre has teamed up with Hong Kong Recycles to provide recycling facilities. When it comes to furniture, the carefully selected pieces represent the best in eco-chic. Installed throughout the office are light-sensors to conserve power. 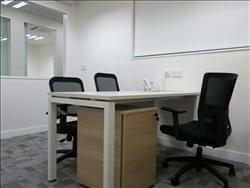 Fully furnished, private offices for one to five people in one of the best locations in Central Hong Kong. The workspace offers members an individual business number and headset for local calls as well as desks, chairs and lockable cabinets. This space is accessible 24 hours a day and there is CCTV security as well. Members have access to a stable Wi-Fi connection and a land-line in each individual offices as well as access to a Coloured Copier/ Printer/ Scanner/Fax machine. The center has a tri-lingual secretarial support team with daily mail-handling and basic cleaning services that are delivered on a daily basis. Members of the space have access to a pantry with a fridge and complimentary tea and coffee. 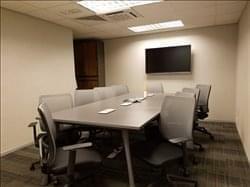 The space gives members access to a conference room for up to eight people with an LED TV. This centre provides premium office solutions to meet your different business needs, with ready-to-use serviced offices, cost-effective virtual offices, sophisticated and spacious conference room equipped with HD video conferencing facilities, and professional staff that assist your day-to-day business operations effectively. This one-stop solution allows you to have time to concentrate on the core aspects of your business, while leaving all distressing but essential corporate functions (e.g. company incorporation, accounting and taxation, work visa application, etc.) with the centre specialists. 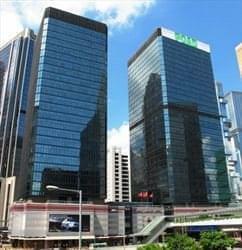 This centre is located in the heart of Central Hong Kong. The building is surrounded by world class top buildings like The Landmark, HSBC Headquarter & International Finance Centre, etc. as well as other facilities like premier hotels, head offices of various financial institutes and shopping malls. Because “Central” is so well-known among foreigners, and that most of the large corporations set up their headquarters at this location, this centre must be your best choice for enhancing your corporate image and develop your business. The monthly charge at this center includes unlimited broadband internet access, office furniture, air-conditioning, conference room usage, photocopies, 24-hours access, general cleaning, newspaper and drinks, etc. Standing in the financial hub of Central District, this strategic location and a premier business address has given business an elevated status which is perfect for instant business concept. It is easily accessible by all kinds of transportation, within walking distance to bus terminals, taxi stands and MTR stations. 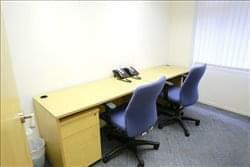 A well equipped office is ready for immediate use on flexible lease terms. This business centre is located on the 7th floor of this 26-storey office complex at the western end of Central and adjacent to Sheung Wan. The building is home to many institutional Finance companies, management consultancy, recruitment companies and global MNC’s. The centre offers a perfect solution for local and overseas companies looking for flexible and fully-equipped offices with comprehensive services at a reasonable price. 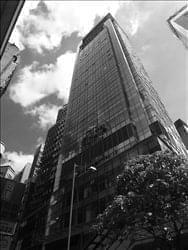 This building is located in the heart of Central on Queen’s Road Central, at the junction of Wyndham Street, D’Aguilar Street and Pedder Street. The immediate surroundings form the vibrant heart of Hong Kong’s popular shopping and leisure district. The 5-star Landmark Mandarin Oriental hotel is just across the street on Queen’s Road. 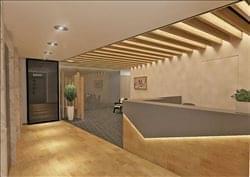 This brand new service office is located on the 11th floor of this building, next to the Mid level’s escalator and just minutes walk away from both Central and Sheung Wan MTR stations. It provides a range of offices sizes, both windowed and non-windowed, all with 24/7 air-conditioning. Its Queen’s Road Central address means it’s both a convenient as well as a representative location. The centre is located in the heart of Central. It is an excellent value for money option if you are on a budget but would like to be in the Central area at a prestigious address. Each room has it’s own split type air-con, perfect for clients who would need to use the spaces during weekends. 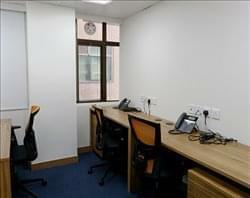 The centre has an eight-person meeting room available, a pantry and each room is equipped with furniture and internet. This workspace aims to facilitate the new shared economy by providing a vibrant and inspiring work environment that also comes with many kinds of services, partnerships and activities. This center brings people of diverse background and professions together and induces a collaborative and friendly atmosphere. On the capital raising side, this center also invest in start-ups directly or indirectly through other incubation or acceleration programa. This chain of workshops are located in different parts of Hong Kong, and they all provide rooms, hot desks and memberships that cater for different needs. At each of the workshops, there is a special theme in terms of design, environment and activities. You can move from one workshop to another and find very different atmosphere and vibes. Each of the workshops is a close community by itself, and the chain of workshops together forms a complete ecosystem for you to realize your goals and aspirations. This business address features smaller floors with a boutique feeling with high open loft-style ceilings and floor to ceiling windows with views over Central, allowing natural light to flood the office space. The unbranded, edgy and modern architecturally designed offices in this building offer state-of-the-art facilities at a reasonable price so you can stay focused on growing your business and challenge your competitors with a professional working environment. These furnished offices offers you the best conditions to establish your business and help it proper in the core of the business district, Central. With plenty of facilities, including dedicated broadband, Wi-Fi, security system and 24/7 on-site management, this space offers the best value for money. Whether you are looking for a co-working, virtual or sub-let, this space can suit all your needs. This beautifully designed business centre is a unique combination of a serviced office and coworking space. This self-owned, 8,000 sq.ft in size, office space is located in Sheung Wan in the heart of Hong Kong and it offers business meeting rooms, and large event spaces. The Academy has regular classes on Business Model Design, coding, social media and mentoring services – the goal is to ‘enable entrepreneurs’. They also host regular events from the local and international startup community. Based in an industrial building, the office space has all the modern amenities you need to get to work. 24/7 secure access, to make sure you can work at any time of the day. Individually controlled air conditioning that you can work within the perfect conditions for yourself as well as the Centre offers high speed WiFi to make sure that you can work with a fast internet connection which doesn’t slow your work down. Furthermore you have unlimited beverages, and a full pantry to fit all your needs during the day. The office space comes fully furnished and includes all you need to fully focus on your work. Just announced and coming soon. Discover floors of co-working and private offices that cater to all your needs. With spaces designed to promote productivity, and offering all-inclusive, month-to-month flexibility to create a work environment as agile as you are. Any workspace can have a lounge, but this space has lounge and breakout space decorated with custom murals, offer micro-roasted coffee and fresh fruit water. To obtain information for your selected Central Serviced Offices & Coworking Space, please tick the "Add to basket" box for each office you prefer and complete the form below. We will then send a detailed report via email.